The flow pattern of ridges in a fingerprint is unique to the person in that no two people with the same fingerprints have yet been found. 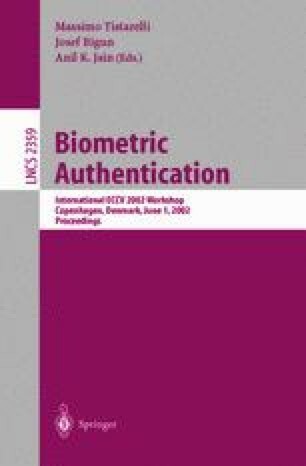 Fingerprints have been in use in forensic applications for many years and, more recently, in computer-automated identification and authentication. For automated fingerprint image matching, a machine representation of a fingerprint image is often a set of minutiae in the print; a minimal, but fundamental, representation is just a set of ridge endings and bifurcations. Oddly, however, after all the years of using minutiae, a precise definition of minutiae has never been formulated. We provide a formal definition of a minutia based on the gray scale image. This definition is constructive, in that, given a minutia image, the minutia location and orientation can be uniquely determined.